The Karen State Social Welfare Department announced the Myanmar government will give support to pregnant mothers and their children (under two) starting from January, 2019. U Zaw Min, Director of the Department of Social Welfare, told Karen News pregnant women and children under two years old (or under 1,000 days) will be given financial support the government under its Strategic Plan of Social Welfare, Relief and Resettlement Ministry in coordination with Ministry of Health and Department of General Administration. Speaking to Karen News, U Zaw Min said. Children entitled for the government support will be only those who were born on 1st October 2018 and onward. Each pregnant mother and child under 1,000 days old will be given 15,000 Kyat (around USD $10) a month and payments will be made every three months. U Zaw Min explained how the scheme works and the payment process to Karen News. 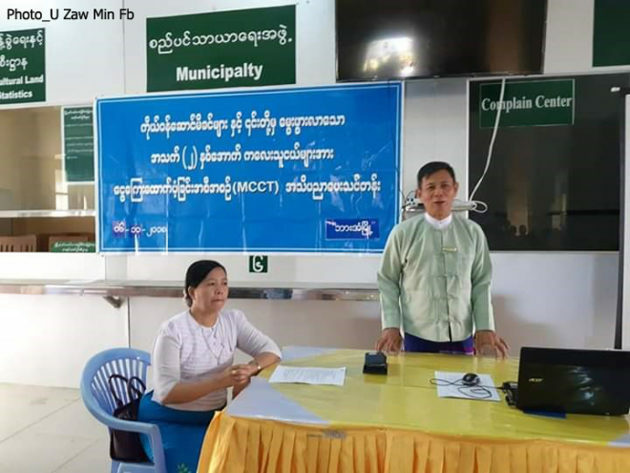 Social Welfare Department officials said coordination with other peace groups and with Karen health organizations will be made to provide funding in all seven Karen State Townships. To make the support more effective, collaboration with the Department of Health will be carried out to conduct awareness trainings and small group discussions in villages. The Department of Social Welfare said since 2017 mothers in Chin State, the Naga Autonomous Region and Rakhine (Arakan) State, have received the government support – the government plans to extend its program to Karen, Kayah (Karenni) State and in the Ayeyawaddy Region.